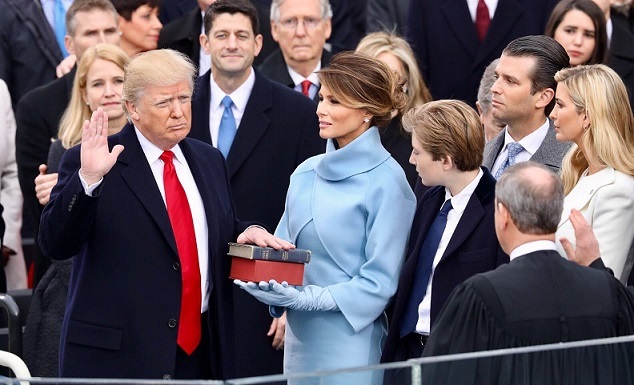 In his Inaugural address, President Trump was clear and honest in presenting his philosophy of governance. His “Nationalism” is much better than evangelical “People-Groupism,” even though he shied away from using the ‘N’ word and called it ‘Patriotism’. His voters must have loved the fact that the new President intends to put them first. He has earned the right to ignore the vested interests and their lobbies. It is to be seen if he has the wisdom to know what is really needed to reform America. For example, it is hard to believe that Trump, a successful businessman, does not understand the simple fact that “Buy American, Hire American” will only hurt Americans. The Swadeshi President will condemn Americans to buy expensive, but poor quality goods and services. He will rob Americans of their freedom to buy better and cheaper products. Keeping the better brains and workers out of America is likely to benefit America’s rivals. One of the most disappointing aspect of Trump’s talk was that he gave no hint of the fact that making America great again is to renew American character, virtue and work ethic. One got an impression that better roads, bridges and tunnels will make America great. Spain already has better roads than America. Hitler built the Freeway system to fight unemployment and to move his army rapidly. If loving America means turning back on the historic commitments to protect Germany and Japan, then it means asking these old enemies to build their own armies. When EU “nations” start emulating American nationalism… and when they default on paying their debts to German bankers… then Trump would have pushed Europe back to a century old climate of conflicts. The UN is corrupt. Yet, the UN is one of America’s greatest contributions to the world. To critique the UN in order to reform it, is to love your neighbor: To critique the UN in order to condemn, weaken, or to destroy it is to be irresponsible… It is to reject your own offspring… It is the opposite of being a city on a hill. It was honest to identify Muslim terrorism as an enemy. However, it was necessary to drop a hint that American will obey the command to love and bless their enemies. Given that sixty or so Democrats had boycotted the Inauguration, it was magnanimous of Hillary Clinton to show up for the occasion. Trump would have enhanced his dignity if he had honored her, at least with a handshake, if not with a respectful word. She personified the aspirations of millions of disappointed American women. A gesture of humility was needed in a speech that condemned previous administrations and portrayed oneself as America’s savior. I doubt if Hillary would have had the courage to put her hand on the Bible to take the Oath of Office. I am grateful that Trump, like Obama, did honor the Bible as the Mother of Constitutionalism and the key to God’s kingdom on earth. I pray that He would read God’s word every day and seek God’s wisdom.